Half a world away, Lucy Daltroff is on the island of Grenada, drinking in the sights, smells and tastes of a cacao plantation. 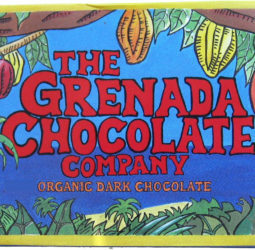 The Belmont Estate has grown many different crops – including Grenada’s famous nutmeg and mace – but now, thanks to the extraordinary efforts of one barefoot inventor, it is helping build a new business model for the chocolate industry. Will it enjoy the sweet taste of success?